Dr. Min Zhou is Professor of Sociology & Asian American Studies, Walter and Shirley Wang Endowed Chair in U.S.-China Relations and Communications, and the founding chair of Asian American Studies Department (2001-2005) at UCLA. Her main research interests include international migration, ethnic and racial relations, immigrant entrepreneurship, education and the new second generation, Asia and Asian America, and urban sociology. She is the author of Chinatown: The Socioeconomic Potential of an Urban Enclave (1992), The Transformation of Chinese America (2006), and Contemporary Chinese America: Immigration, Ethnicity, and Community Transformation (2009), co-author of Growing Up American: How Vietnamese Children Adapt to Life in the United States (1998), co-editor of Contemporary Asian America (2000, 2nd ed. 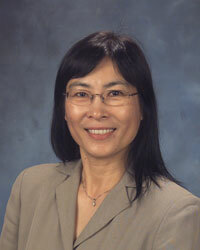 2007), and co-editor of Asian American Youth: Culture, Identity, and Ethnicity (2004).